Danica Airelle Marasigan, or Danica/ Dani is an analyst in a Financial Research company. Writing has been her medium of expression for unraveling her thoughts and creativity, sometimes personal insights and bottled emotions. Food and travel are two of her greatest passions. When not busy with her day job, she enjoys exploring a new restaurant or discovering new recipes in the kitchen. For her, food is one of the best ways to celebrate the joyous life she has. She travels from time to time to indulge her reflective spirit and satiate her curiosity for new people, places, and experiences. Traveling renews her soul and enriches her mind. This blog became a platform to honor these two passions through writing. Thinking of the name of this blog was easy. 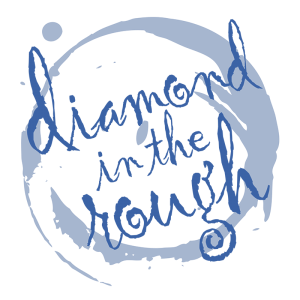 Diamond in the Rough was a column name for a newspaper back in college, where the blogger was a Features Editor. Diamond in the Rough means a person with hidden exceptional traits but awaiting perfect timing to shine. Like the precious diamond, it needs to be polished and undergo pressure to reveal its genuine beauty. Each one of us has an inner diamond that can only be unearthed when we allow ourselves to be refined by the challenges and adversities. Diamond in the Rough will be an instrument to magnify God’s grace by using the talent He has given to me. The blog will be a testament to my food and travel journey. It will feature interesting food finds, new restaurants, recipes, gastronomic adventures, beautiful places here and abroad, travel itineraries, tips, insights and profound life experiences. The goal of this blog is also to showcase the featured products and services of entrepreneurs in the food and tourism industry, to help them promote their businesses. This blog is a personal blog written and edited by me. For questions about this blog, please contact danicairelle@gmail.com.